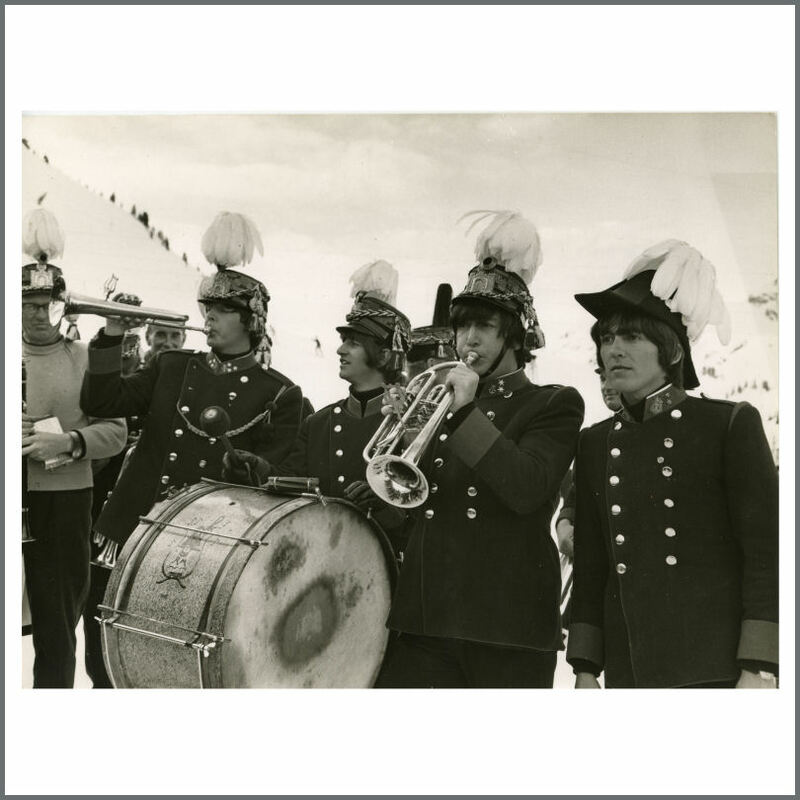 An original vintage black and white photograph of The Beatles that was taken in Obertauern, Austria in March 1965 during filming for the group’s second feature film HELP! The photograph was taken by Beatles Book photographer Leslie Bryce. It is stamped Leslie Bryce verso. It measures 19.5cm x 24.5cm (7.75 inches x 9.6 inches). The condition is very good plus.